Wholesale is a very generic term being used way too loosely nowadays. When I think of wholesale I think of cutting out the middle man and getting lower on the supply chain. Which implies getting a better cost basis on goods and services? Don't assume that just because someone is billing their company as a t-shirt wholesaler that they really are a true wholesaler. I know too many brokers who say they are wholesalers. Just be cautious. Wholesale t-shirts, if done correctly can be very profitable. One thing to remember. Just because you get a great deal on wholesale t-shirts doesn't mean you need to sell them cheap. You can let the market determine the selling prices. Sometimes you can sell them with a great deal of profit. A professional graphic artist can help with the entire process and it is usually included in the cost of the t-shirts. As long as you have a design that is not too complex. 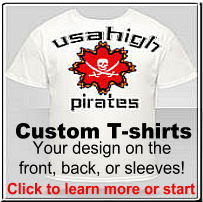 We can help you custom design your wholesale t shirts and get you started making money selling custom t-shirts. Potential customers for wholesale t-shirts are everywhere. Try your luck calling on restaurants, schools, sports clubs and teams, businesses and bands. 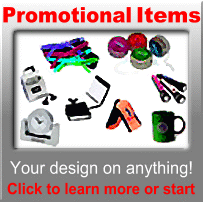 Once you have a customer to sell custom t-shirts you can also introduce other products such as printed sweatshirts, printed hats, pens, pencils, coffee mugs and lots of other promotional products. 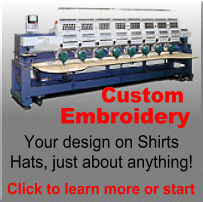 We offer wholesale prices on custom t shirts if your quantity is over 288. Check out website to see how you can get wholesale t-shirts.